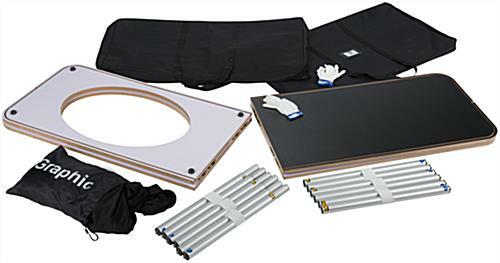 Setting up inside a trade show booth or other public exhibition? 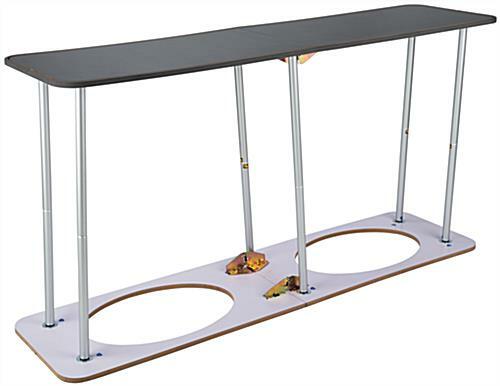 This portable event counter offers the stability of a table with the convenience of a lightweight design. 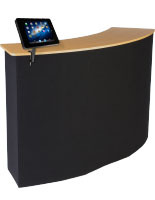 The display features a folded MDF top and bottom connected by the aluminum poles. 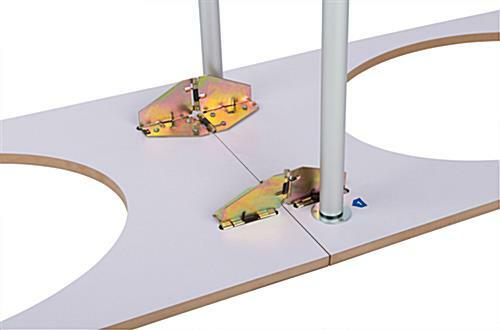 Our intuitive trade show counter sets up in minutes thanks to the numbered parts. 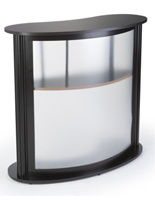 The black stretch-fit fabric wraps snugly around the unit for a smooth, professional presentation. 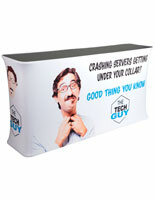 You can even use the covered storage space inside by unzipping the wrap for easy access. 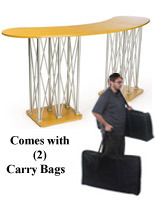 The entire counter disassembles into two convenient carryg bags for transporting. Try saying that about a traditional folding table! 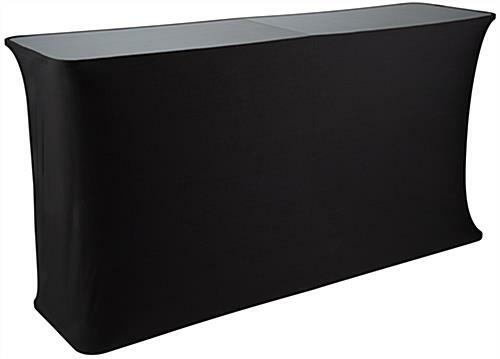 72.0" x 39.4" x 20.5"
11.0" x 21.3" x 2.4"